Senior Living Hot Springs: Are Costs Tax Deductible? 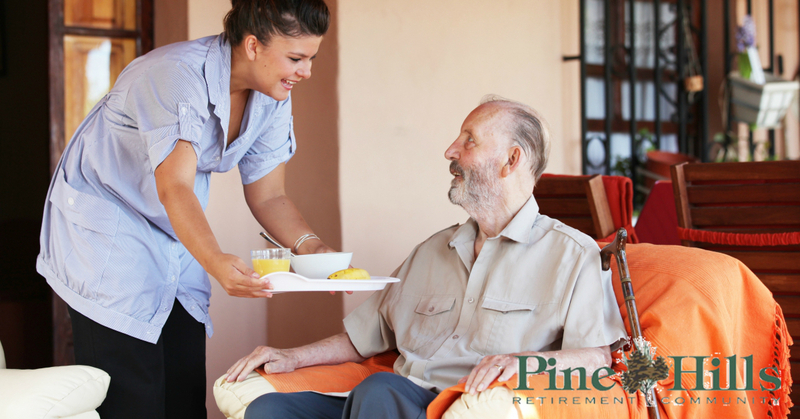 Are Senior Living Expenses Tax Deductible? As providers of senior living in Hot Springs, we’ve had the pleasure of helping many families find peace and security for their elders. Whether it’s a mother who’s become very lonely since her husband passed away, or an uncle who’s no longer able to live on his own due to worsening dementia, we provide a calm, comfortable place for people to live, socialize, and visit with the ones they love. We realize that the decision to pursue senior living is rarely an easy one, especially because families have to find a way to fit the cost into their budget. Our senior living specialists are often asked about whether or not senior living expenses can be deducted when filing taxes, which is why we’ve put together this article with some vital information that will help you answer this question for yourself and your loved one. As you’ll see below, there’s no one-size-fits-all answer to this question, rather, the answer varies depending on the physical condition of the senior in question. Be Chronically Ill – This means that a doctor or nurse has declared the senior unable to perform at least two of the following “daily living” tasks: eating, toileting, bathing, dressing, etc, and the senior requires supervision because they have a cognitive impairment that puts them at risk (such as Alzheimer’s disease). Follow Plan Of Care – In addition to being deemed “chronically ill,” a senior must also be receiving personal care services that follow the plan of care specified by their licensed health provider. “This means a doctor, nurse, or social worker must prepare a plan that outlines the specific daily services the resident will receive,” continues Elder Law Answers. When researching the possibility of deducting senior living expenses on a resident’s taxes, it’s also important to remember that it’s generally only the medical component of such care that is deductible. Medical care costs are separated from general living costs, like the senior’s room and board. This can drastically limit the amount that can be deducted, and makes things complicated if the senior is living in a facility that provides both services simultaneous, but doesn’t itemize their bills. In most cases, it’s best to ask about how a senior living facility bills, reviewing that information with your tax professional who can advise you on the best way to take any available deductions. What About Senior Living For Those Who Aren’t Chronically Ill? Now, you might be wondering what all of this means for your senior loved one who has simply grown tired of living by themselves. Perhaps the rest of the family has moved out of state, but they have no wish to follow. This situation can put stress on family members who feel they need to keep close tabs on the senior’s well being. According to Elder Law Answers, “Residents who are not chronically ill may still deduct the portion of their expenses that are attributable to medical care, including entrance or initiation fees.